The local card store was once the 'home' of the card hobby. Years ago you could easily find at least two or three dedicated card shops in the bigger cities. Now... not so much. They are still around, but they are fewer and far between. I'm lucky that here in Sacramento, there are a few LCSs still around. It's a place that I wish was still in the forefront of the hobby. Will those days ever return? I have my doubts, but for now, it's a great place to treasure and go to find people who share your hobby passions. 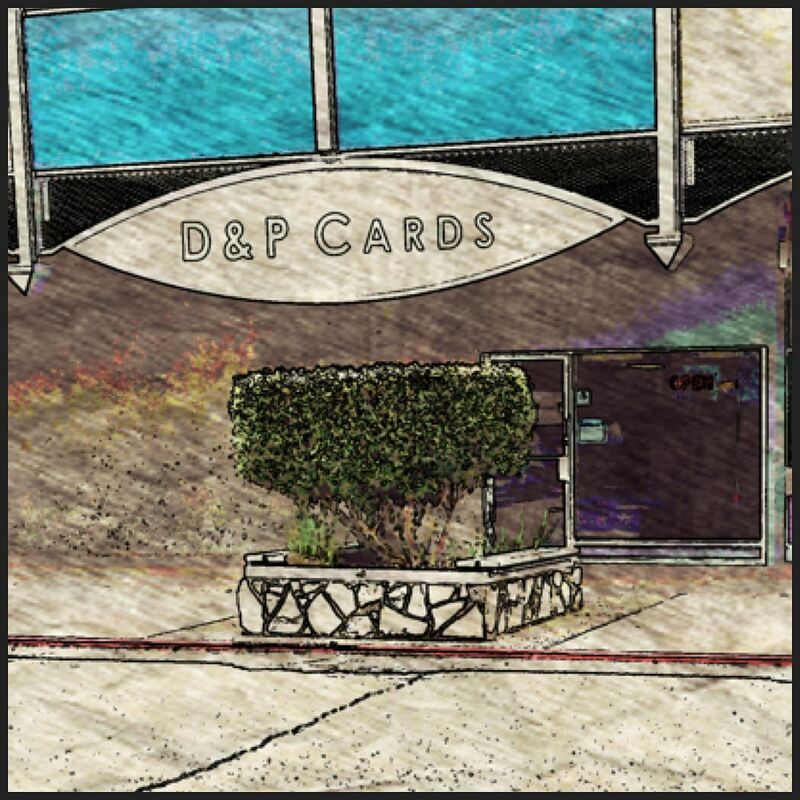 The card shop that I go to is D&P Sports cards in Sacramento. It's a bit of a drive for me (30 mins), but it's worth it every time I go. This might sound weird, but there is a smell associated with unopened cards (and comics for that matter) that I really like. Haha, no, all the card shops that I have ever been too have not smelled like BO - all the owners were very meticulous in keeping their stores in order. Besides going to the shop for the air quality, the LCS is a great place to meet and hang out with fellow collectors. I actually just went there today to get my box of the new 13/14 Panini Playbook Hockey, and there were a few guys just hanging out opening boxes of cards. It was great to just chat with them and see what stuff they got from their boxes. Where else can you find actual people to talk to about cards? Well, of course you can hit up the forums over the internet (and those are great), but to find real people in a live environment is completely different and rewarding. One of the things I appreciate about D&P cards is their monthly trade nights. I haven't gone much recently because nobody in the area collects hockey cards, but that night is perfect to find people who have similar interests. In the past, the hobby store was the place you went to trade and sell your cards. It was the place you could get all the specialized holders and binders. And nowadays, this still holds true. The hobby store is always stocked with things you find out you need when you get there. I'd love to hear about your local card stores in your area. Do you even have any? Let me know about them in the comments section! Man the amount of brick & mortar card shops in the entirety of Australia you could probably count on one hand. Some guys run market stalls, some are strictly online retailers and then for our local sports you can get cards at most newsagents and fuel stations. But it is a niche hobby here, where the NFL and NHL barely get a look in after the NBA, AFL and NRL, and even with shipping it would be hard to compete with dacardworld's prices. Would love the convenience of being able to drop into a local store and grab a couple of packs, or a box or two, rather than dropping large sums into bulk orders.